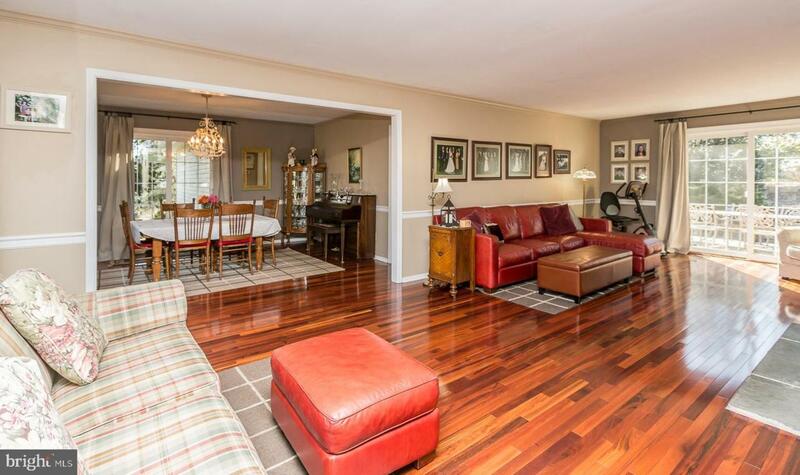 Nicely Updated Ranch-Style Home in the sought-after Area of Newtown Square! 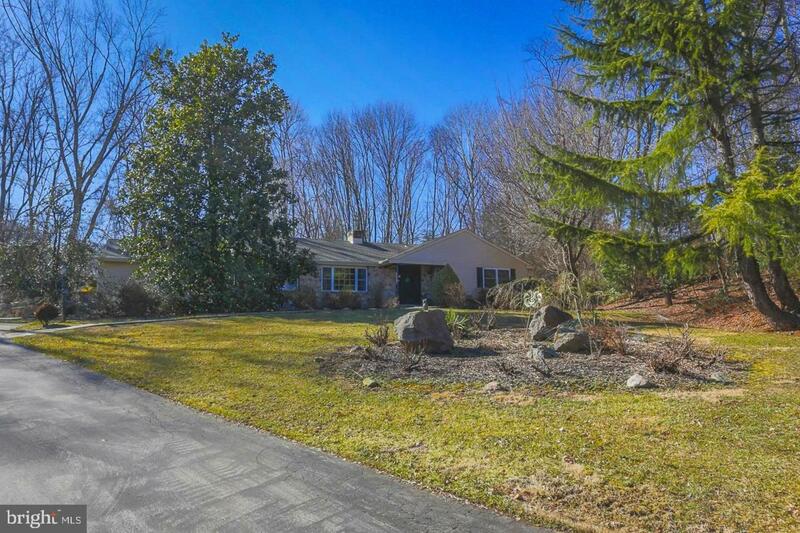 This bright & cheerful Home has custom fieldstone siding and is nestled on a premium 1+ acre in a cul-de-sac location. Tranquil park-like setting with mature plantings, gazebo and 2 flagstone patios. 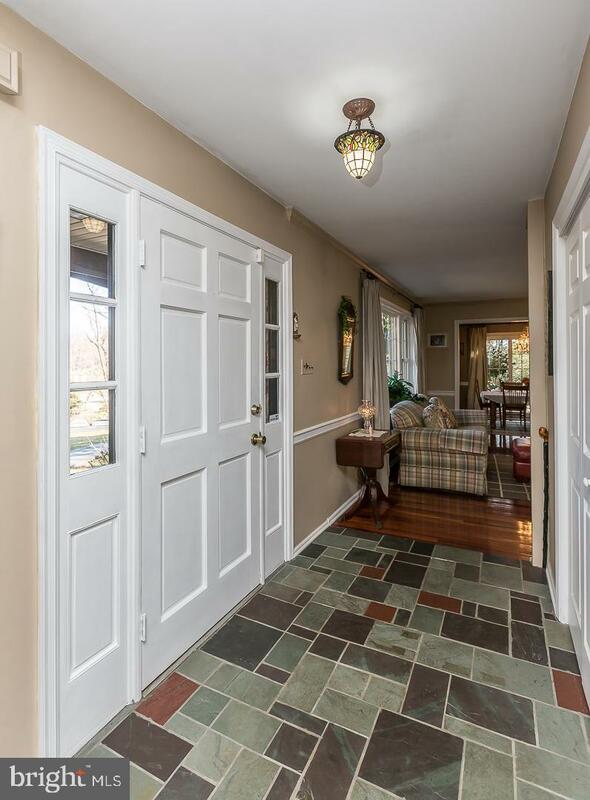 This Home features a tiled Foyer Entry with gleaming Hardwood Floors leading to the Great Room with an attractive fieldstone fireplace framed with built-in bookcases and sliding doors leading to a rear patio/garden area. The Formal Dining Room opens to a side patio for entertaining. The updated Kitchen offers plenty of cabinets, granite counters, stainless steel appliances and Island seating. The Master Bedroom/Bathroom combination has generous closet space and a walk-in shower with seat. Two additional bedrooms offer hardwood floors with one Bedroom offering it's own Powder Room. The Hallway has a 2nd full Bathroom with tub/shower combination and main floor Laundry. Additional space in the finished Basement with Powder Room and high ceilings. 2-Car attached Garage with over-head storage and Garage entry into house. Updated roof, windows, heater/AC and gutters w/guards. Move-in condition and lots of natural light in this wonderful Home - Come View! 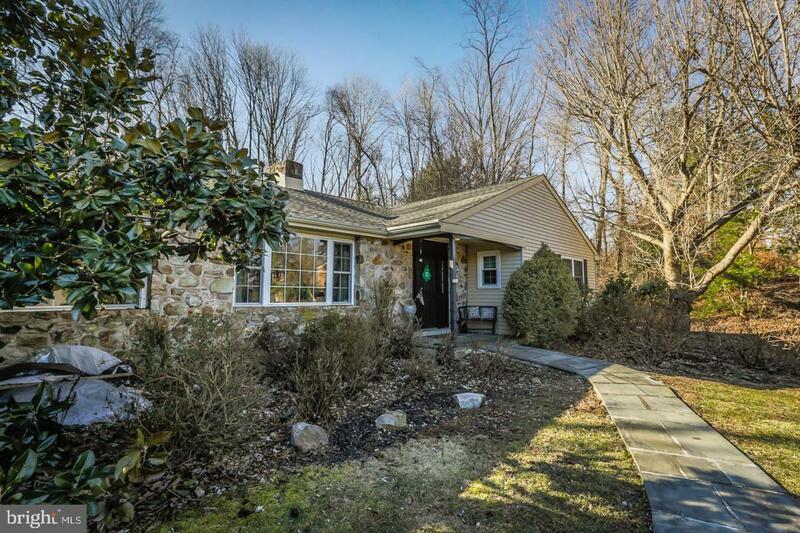 Ideal location - minutes to the new Newtown Square Shopping Center with Restaurants and Shops.